The removal of the wallpaper project is going quite well so far although I’m only working 2-3 hours at a time so as not to upset my injured hand and only 2-3 days a week. I’ll have to do some research on it and see how it goes. I think it’s a “next week” project though. 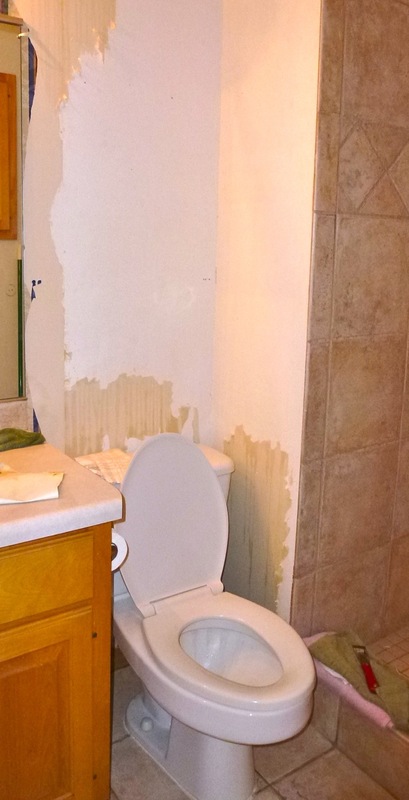 Hmmm … maybe I should just replace the toilet. It is 19 years old after all. My fear is that I may have parts that I don’t know what to do with a new toilet. I can pretty much document what I do to remove it but putting a new one back in? I’ll have to see how much courage I can summon next week. 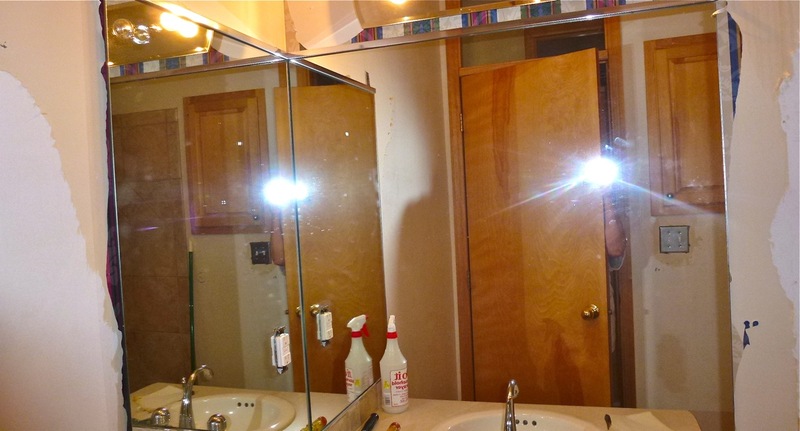 The large mirrors also have to come out as there is wallpaper behind them and we’re planning on replacing the countertop also which means removing the tiled backsplash. The real trick will be how to take them down and not break them in case we want to reuse them. I’ve been reading on the internet that a lot of contractors glue these large mirrors on but in our case they have large bolts behind the mirrors so I’m hoping it will be easier to remove. Looks like I can slide them off so if I put tape on the mirror so it doesn’t shatter perhaps that will work. These mirrors might be a bit much for me as I’m only 5’1″ tall and I don’t want to be splattered with glass. The “experts” say I’d have to wear gloves, long sleeves and safety goggles. I’ll tackle this after the toilet, I believe. One step at a time.